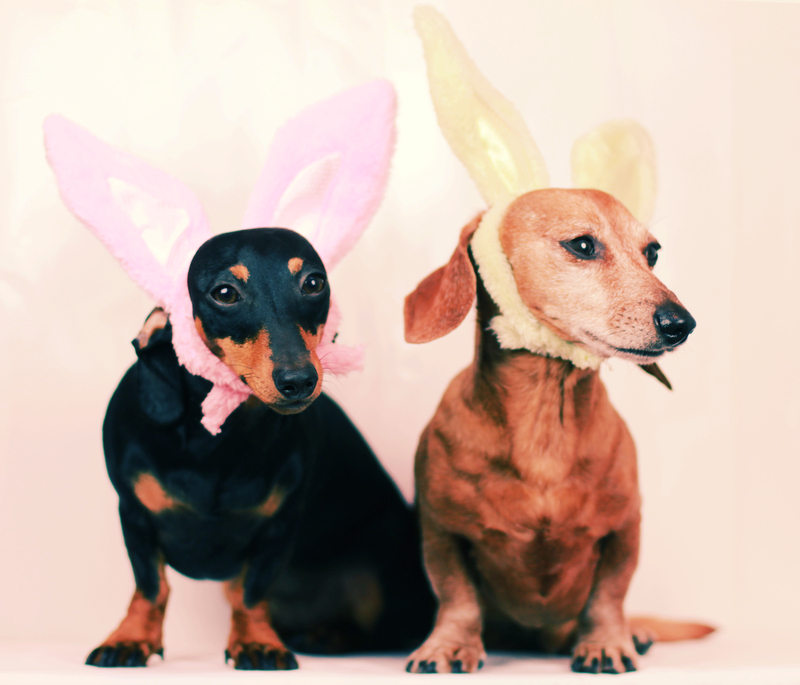 I’m obsessed with the bunny ears. 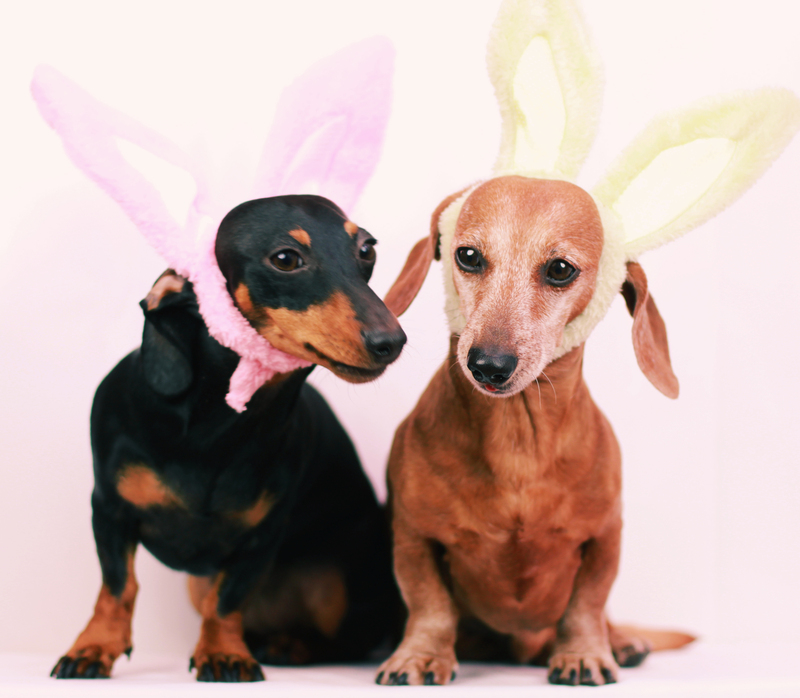 This entry was posted in Emily, Rufus and tagged #dachshund, #easter, #smooth dachshund, doxies. Bookmark the permalink. Emily is so photogenic! she is just working it!! I love the first pic. It looks like Emily is whispering something to Rufus.